Looking for a sport that everyone wants to play? 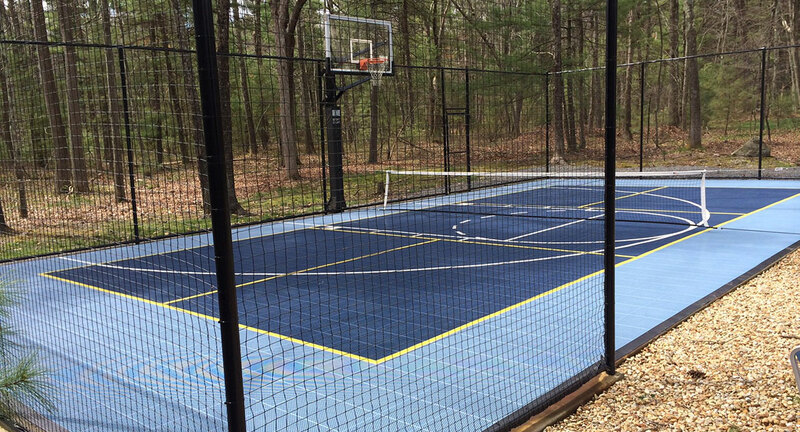 Sport Court of Massachusetts' pickleball courts are designed for younger or older players with varying degrees of mobility to enjoy. 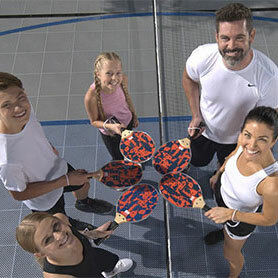 The whole family can enjoy pickleball as it provides a combination of badminton, tennis and table tennis. Contact us today for a free on-site estimate.. The game itself is played on a pickleball court that is 20 feet wide by 44 feet long. The net is set at 36 inches high on the edges and 34 inches in the middle. Players use special paddles and a heavier ball. Pickleball game courts can be used on our multi-sport game courts as well! 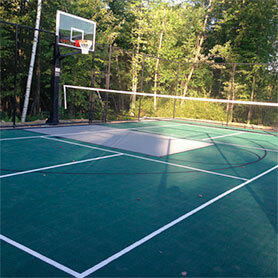 Your family will love playing on a Sport Court of Massachusetts pickleball game court. In Massachusetts we serve Norfolk and Essex counties from Andover to Hamilton and Gloucester, down the coast to Hingham and Plymouth, across to Mansfield and Franklin, as well as the Brookline, Needham and Wellesley areas. In New Hampshire we serve the counties of Hillsborough, Cheshire and Sullivan.